Canada’s Barrick (TSX, NYSE:ABX) and Goldcorp (TSX:G) (NYSE:GG), the world’s No.1 and No.3 producers of the precious metal by value, are teaming up to develop projects in northern Chile, particularly Cerro Casale, one of the world’s largest gold-copper deposits. 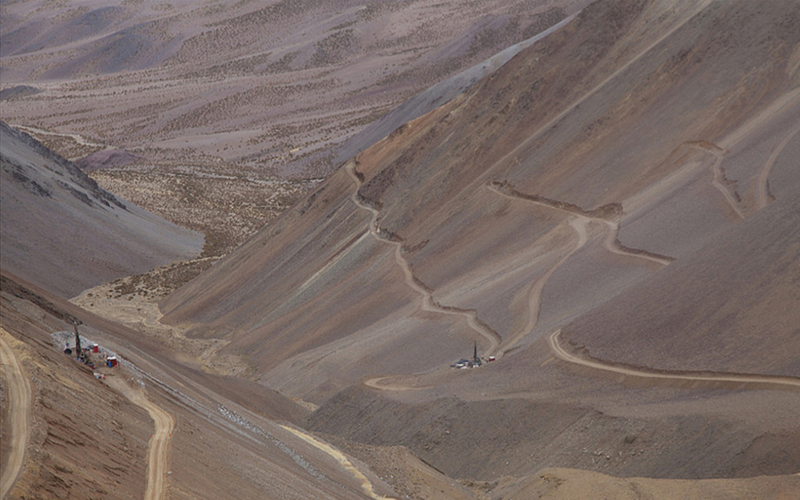 As part of the agreement, Barrick has sold a 25% stake in Cerro Casale to Goldcorp, which will result in a 50-50 joint venture focused on building gold mines in Chile’s prolific Maricunga belt. Joint venture will allow them to consolidate infrastructure, reduce costs, decrease the environmental footprint and provide better returns than if they had standalone projects. The move, a fresh sign that miners are moving from cost-cutting to expanding operations and investing in exploration, also prompted Goldcorp to acquire Exeter Resource Corporation (TSX:XRC) for about $250 million. The takeover makes of Goldcorp the sole owner of the Caspiche gold-copper project, conveniently located only 10 km north of Cerro Casale. "With the acquisition of Caspiche and 50% of Cerro Casale, we envisage the two deposits being jointly advanced with Barrick, similar to our existing arrangement with Teck Resources at NuevaUnión,” Goldcorp’s President and Chief Executive Officer David Garofalo said in a separate statement. He noted the joint venture with Barrick would allow them to consolidate infrastructure to reduce costs, reduce the environmental footprint and provide increased returns compared to two standalone projects. Under the terms of the deal, Goldcorp is required to spend a minimum of $60 million in the two-year period following closing of the transaction, and a minimum of $80 million in each successive two-year period until the deferred payment obligation is satisfied. If the Vancouver-based gold miner does not spend the minimum in any two-year period, it will instead be required to make a payment to Barrick equal to 50% of the shortfall (with a corresponding reduction in the deferred payment obligation), Goldcorp said. This is not the first time the two gold miners work together. In the past, they’ve joined efforts to run the Marigold mine in Nevada, which they ended up selling in 2014 to Silver Standard Resources (TSX:SSO) for $275 million. Cerro Casale holds proven and probable reserves of 23.2 million ounces of gold and 58.7 million ounces of silver. It also contains 5.8 billion pounds of copper. According to a feasibility study conducted in 2010 by Kinross Gold (TSX:K) (NYSE:KGC), which had a 25% in Cerro Casale until today, the plan was to build an open pit mine with a 20-year life and a heap leach processing operation for an initial capital cost of roughly $4.2 billion.